Do you want the secret to embracing change using technology as an unfair marketing advantage? 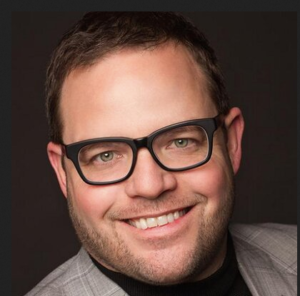 Listen as Jay Baer, the world’s most inspirational marketing, and online customer service speaker, share his powerful strategies. Jay is president of Convince and Convert, a strategy consulting firm that helps companies and organizations gain and keep more customers. Clients include 3M, the United Nations, Best Buy, Comcast, Hilton, Adidas, Oracle and more. He’s the author of five books including “Youtility: Why Smart Marketing is About Help, not Hype” – a New York Times best-seller. 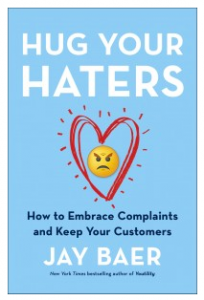 His most recent book, Hug Your Haters: How to Embrace Complaints and Keep Your Customers was named one of 2016’s top 3 business books. Q: Jay, take us through your blueprint and share how authors could use that as an unfair marketing advantage with their book. A: One of the things that I think is tricky about the Youtility concept is that it is a blueprint, but I don’t want to emphasize it too much. What I’ve discovered even since I wrote the book is that as soon as you finish it, it is out of date at some level, especially when you write about digital marketing as I often do. It’s a cross I have to bear. But one of the things I’ve discovered since I published Youtility is putting these principles into practice. While the blueprint is important in the book, I don’t really want to go into it here because I don’t want people to cling to it as the way to do it. I think it’s more interesting and useful to think, I am an expert. Everybody who writes a book is an expert at one or more things, otherwise, you wouldn’t even try to write a book. I think it’s important to say, what do I know or what can I offer or what can I make, and then give that away to potential readers to demonstrate that expertise, but also it needs to be of real value to them. When you do that, when you give away something useful, three things happen. 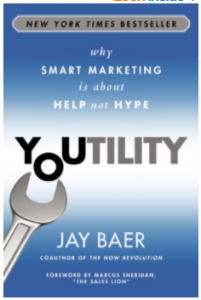 To contact Jay Baer for more information about his services.